Who I trust with my money. 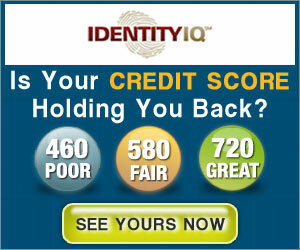 Looking to overhaul your budget, save money, establish credit, or monitor your credit reports and scores? $1 Trial for 7 Days, Then Only $24.95/mo. Some of the links on this and other pages generate a commission. You can trust that I don’t recommend products unless I believe they are worthwhile. Seriously – I get asked to write about products all the time, but I’ll turn down hard cash if I’m not feeling it.